The Marina Riviera Nayarit boasts 18 thousand square meters, 354 slips, docks that hold vessels from 31 to 400 feet in length, a dry dock capacity for boats weighing up to 150 tons, a slew of services and the ability to host international events—and that's only 30 percent of what will be a very, very grand 100 percent when the project is finished. 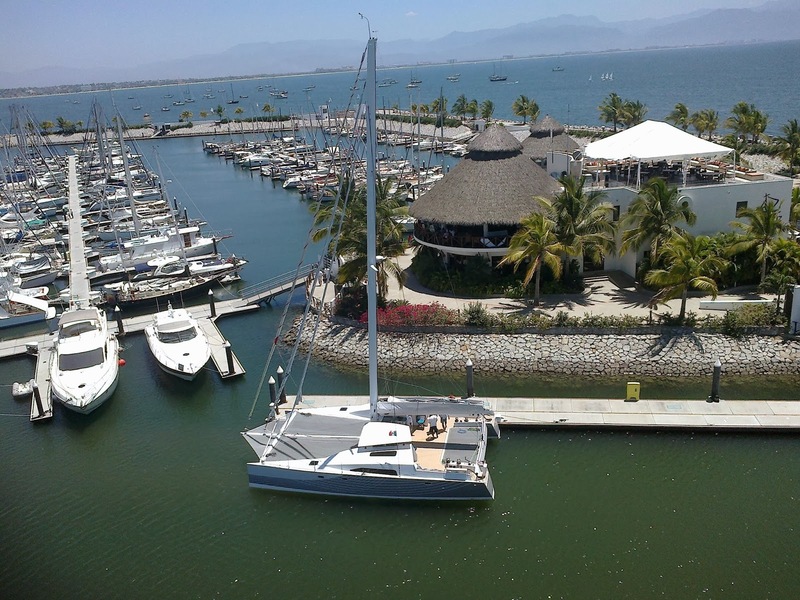 It was Mexican engineer Pedro Fernández’s dream to develop a marina that would turn the destination into an icon of nautical tourism, much like the Riviera Nayarit is already a leader in beach tourism. Today it’s a reality according to Harbor Master Rafael Alcántara. Its more than 18 thousand square meters of construction both on land and water make it the largest in the Mexican Pacific. “We have 354 slips and docks that range from 31 feet for smaller boats all the way to 400 feet,” he said. The largest marina in the country is in Cancún, with five additional docks, but as far as capacity for larger vessels, the Marina Riviera Nayarit has it beat. The marina services include a fueling dock, commercial lots, the Port Authority building, the Environmental and Natural Resources Department, a marine shop, three sailing schools, three restaurants and a seafood market, which showcases the daily catch brought in by the fishermen of La Cruz de Huanacaxtle who still make their living out on the water. Currently the Marina is only operating at 30 percent of what the complete development will encompass, as there are areas designated for hotels and condos. It has already hosted events such as the Bicentennial Edition of the Mexico Cup Regatta, which will celebrate its 2014 edition in March. It will also play host to the 2nd Latin American Boat Show and fishing tournaments; it’s the site of the largest ever marlin capture on record for the Bay at 325 kg. The Harbor Master assured that it has the capacity to dock cruise ships but to date has only hosted private vessels as opposed to commercial ones, so they are currently missing a special dock to generate maritime tourism.